It's no secret that I love New York. I fell in love from the first moment I stepped off the plane on my first trip in 2011. 5 trips later, I'm more in love every time I go. This Friday I leave with my DESOD family to go on my sixth trip to the city and I couldn't be more excited. While some of us are seasoned New York-ers, a few of the girls have never been before, which got me thinking about what every first timer should do in the greatest city in the world. There's certain things everyone should do in New York, and they're not all the classic tourist-y stuff. 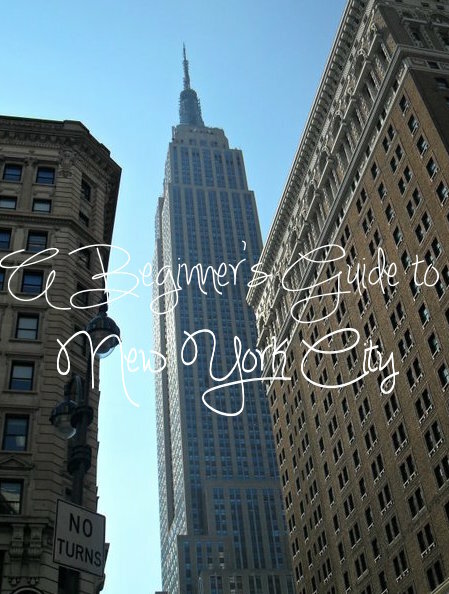 Here's my guide for your first trip to NYC featuring my pictures from all five trips. For starters, I recommend flying into LaGuardia as opposed to JFK. JFK is always so packed, not to mention LaGuardia is closer to the city and you can see the skyline from the tarmac. As far as where to stay, I love the Marriott Marquis or the Hilton Midtown. The Marquis is in the heart of Times Square and is perfect for anyone experiencing the city for the first time. Be sure to check out the rotating bar/lounge on the 40th floor! The Hilton Midtown is closer to the Radio City Music Hall and museums like the MoMA, and is great if you're not exactly aiming for Times Square or the theatre district. A big question people have when going to New York for the first time is which stereotypical tourist activities to do and which to avoid. While some of them are musts, a few of the classic NYC things aren't worth it. DEFINITELY try to do the top of either the Empire State Building or the Rock, that view is something words can't explain. On the other hand, I would skip out on NYC's other classic staple, the Statue Of Liberty. It's cool to see from a distance, and if you're lucky you'll fly over it going in or out, but it's much smaller than it's hyped up to be (for my Lexington girls, think the Big Blue Building) and not a necessity for a first timer. Without a doubt I recommend Central Park no matter what season you go, there's so much for everyone. However, if you're not in the area I am personally a huge fan of Bryant Park; it's smaller but has so much to do, not to mention that's where I met my girl Anna. Times Square is a big one for tourists, and I recommend at least passing through a few times on your first trip. If you want a quiet afternoon, the Metropolitan Museum of Art and the American Museum of Natural History are both full of enough exhibits and artifacts to last a whole day. While I'm personally not a fan of the MoMA, it or the Guggenheim are both fantastic museums. Fellow dancers should definitely stop by Radio City Music Hall for the backstage tour, check out ABT, or take classes at Broadway Dance Center. Being me, when I think of New York I think of Broadway, and in my opinion no trip to the Big Apple is complete without seeing a show or two (...or three...or four). While I may be into the super-Broadway shows that no one has heard of, there's a few I think everyone should see. Wicked, based on what happened in Oz before Dorothy dropped in, is a perfect first Broadway show. It's possibly the most popular show on Broadway and with the traditional story of The Wizard of Oz being so familiar, it's great for the whole family. For the Disney fanatic, The Lion King and Aladdin are both huge hits. I may be a little biased, but Matilda is another great show that epitomizes Broadway and will resonate with audiences of all ages. Les Misérables and The Phantom of the Opera are great for traditionalists, but be prepared for straight singing for over three hours. And if you have any interest in theatre, are a history nerd, or literally are a person in America that breathes, Go. See. Hamilton. A big thing people worry about when visiting New York is where to eat. With so many staples, it's hard to pick. 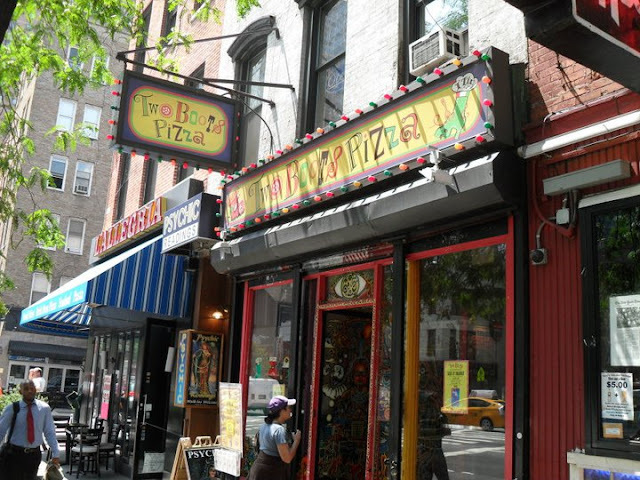 There are thousands of hole-in-the-wall places in the various districts of the city like Chinatown and Little Italy that offer endless options. If you're looking for classic NYC pizza, check out any of the Two Boots locations throughout the city; my favorite is the one in Hell's Kitchen. For a sweet treat stop by Schmackary's for the best cookies basically ever or Laduree for classic French macarons. New York is famous for its steaks, so try Del Frisco's Grille, Empire Steakhouse, or NYC's most famous steakhouse, Peter Luger Steak House under the Brooklyn Bridge. For more nightlife, check out the unique food and even better atmosphere of places like Tao and Nobu. And don't discount the stereotypical street hot dog, they can be pretty great. All in all, my #1 tip for a first timer is to avoid looking like a tourist. Don't buy the basic I♥️NY shirt (and if you must keep it stowed in your bag), know where you're going, look ahead, and try your best to act like a New Yorker. Have a blast, take pictures, and make memories to last a lifetime in the greatest city in the world. Really a nice stuff,the images shown are rare one and not found in other webpages. keep sharing such a relevant content. Greatful to find useful content like Top10trend.in. 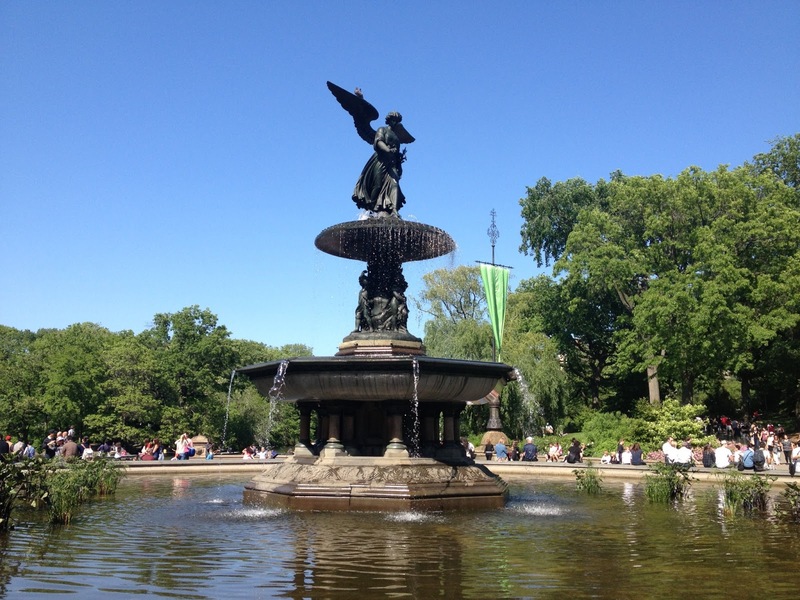 I just love NYC – it’s one of a few that I could just revisit endlessly and always find more things to see and do. I did a lot of the same things as you on my last trip (museums, broadway, Time Square, etc.). I also went to a lot of diners and clubs and watched free concerts at Central Park after checking out the NYC Parks website. By the way, I found a website listing free events in New York which is great because I didn’t have much of a budget. I think FreeEventFinder.com might be useful to people also visiting New York who are looking for free things to do. This place is stunning. The architecture is beautiful and the decoration is spectacular. Environment was transparent and resonant and warm and immediate. I loved this venue Houston TX and my experience here was very exciting.